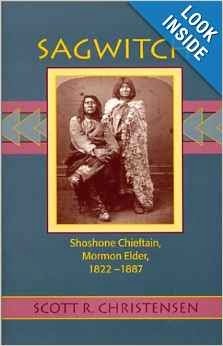 Review of: Scott R. Christensen, Sagwitch: Shoshone Chieften, Mormon Elder, 1822–1887 (Logan, Utah: Utah State University, 1999). Note: The Following was written for my Utah History class. Given its relevance to Mormon History, I thought I would post it here. As with before, the bold, run-on sentence stating the author’s thesis and the repetitive opening statement for each paragraph were requirements for the paper. The author’s thesis is that Sagwitch provided much needed leadership to his people, the Northwestern Shoshone, during a time of major transition, from the initial arrival of the Mormons, to the near extinction of his people in the Bear River Massacre, to the their widespread conversion to the Mormon faith and various attempts to adopt a settled, agrarian lifestyle which finally succeeded to some degree at Lemuel’s Garden, and more fully at Washakie, and thus Sagwitch’s life and legacy serve to exemplify the overall Northwest Shoshone experience from the mid- to late-nineteenth century. One of the weaknesses of this book is a lack of character development. Several people who play fairly prominent roles in the narrative are never fully introduced. For example, Peter Maughan is frequently mentioned throughout the early portion of the book, but the author never provides much background pertaining to who, exactly, Peter Maughan is. Ezra T. Benson is another example from early in the book. He is frequently mentioned alongside Maughan, or even independently, but there is never a lot of background given as to who he is, or exactly what role he plays. This forces the reader to try and answer these questions by piecing together the scattered tidbits, which proves not only inconvenient, but also insufficient to provide a very full picture. Though some persons who play more significant roles, such as George Washington Hill, are given more complete introductions, their backgrounds are still only tersely described. Richer background information, preferably included upon a significant characters introduction into the narrative, would have greatly enhanced the reading experience. Another weakness of the book is that relations between Mormons and Indians seem to be overly simplified. This is particularly true of Mormon attitudes toward Native Americans. While the author does describe some of the tensions between Mormon settlers and native peoples, including Sagwitch’s own frustrations with Mormon assistance to the soldiers of the Bear River Massacre, there is a strong emphasis on statements from Brigham Young about helping the Indians, which is made out to be a general policy by the author, though the various tensions between the two groups hints at a much more complicated relationship in practice. 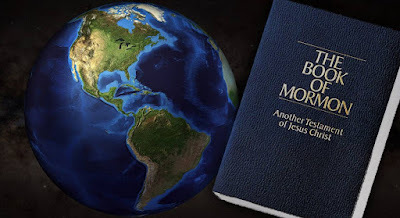 Indian attitudes towards the Mormons are also overly simplified, as they are made to generally like Mormons, and even favor them over the government. Again, while this was generally true, tensions between the groups suggest a reality on the ground that was far more complicated. The conversion of Sagwitch and his people perhaps serves as an example of this oversimplification. While the author makes them out to be sincere converts, and they may well have been, there seem to be other factors, such as the pressure on resources, making it difficult to survive in their traditional way, and a desire for social acceptance from the European settlers. One of the strengths of the book is the wider context within which it situates Sagwitch’s life. The author does not narrowly focus only on Sagwitch or even only on Sagwitch’s tribe, but rather places Sagwitch’s life and actions within the broader context of Native American life in Utah from the mid- to late-nineteenth century. To again use the Mormon conversion as an example, the author contextualizes Sagwitch’s own conversion by showing that this was not merely a personal decision by Sagwitch, nor was it just his band or tribe, but that there was a widespread Indian conversion to Mormonism throughout the area, with many natives seeking out George Washington Hill to preach to and baptized them. This broader context helps the reader better situate and understand Sagwitch’s own life experience, and see that it is reflective of the life and experience of many other natives during this same time period. Overall, despite the weaknesses described above, I enjoyed reading this book. It introduced me to an aspect of Utah and Mormon history which I had little awareness of before. It also helped me better understand the plight that natives faced with Mormon settlement in Utah.